When I saw this, I thought they already put it on TV but I guess I was mistaken? Anyway, they're finally broadcasting this concert. It will be the November 17th, 2016 date at Zepp DiverCity and airs on September 21st, 2018 (Friday) at 11PM on WOWOW Live. The setlist to compare to when we get to see it. I wonder if this means this won't get an official release and only show up on TV. Last edited by truehappiness; 21st July 2018 at 08:31 AM. It is so nice to see RED LINE and Ivy on setlist again. Yeah, kinda wish they paid more attention to it though. It seems like an afterthought that is just there compared to the tour broadcast. It seemed like a great show after all. Wow. It finally is happening. Though, I agree: it really looks like an afterthought. I'm excited to hear We are the QUEENS live. While I'm happy to get something, I really hope we still get an official release! 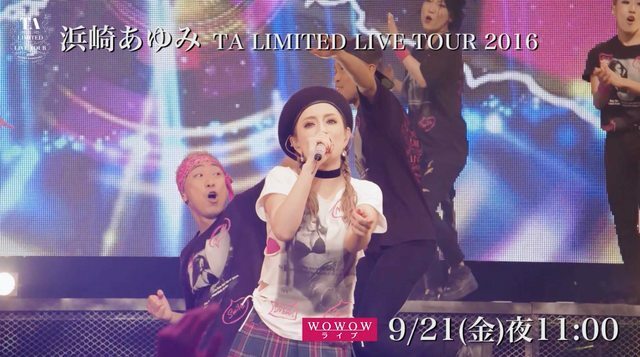 Usually WOWOW airs concerts without the encore. Yes finally! We are the QUEENS, Real Me, Key, Red Line can't wait! WOW. And then the POWER of MUSIC two days later. Maybe the album will be released on these days! Is it really an afterthought? Or did they keep everything for her 20th Anniversary actually? My bet is the second. We'll see and get so many things in such a short time that I thought they did it in purpose.